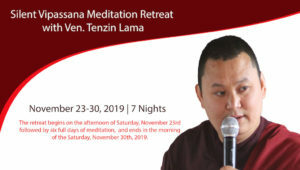 Nov 22-25 : Silence Vipassana Retreat With Lama Tenzin – Thanksgiving weekend. Thanksgiving weekend Vipassana retreat is back! Book now and take advantage of the early bird prices. There are hundreds of methods of meditation, but perhaps Vipassana has a unique status; just the same way as there have been thousands of mystics, but Gautam Buddha has a uniqueness of his own. In many ways he is incomparable. In many ways he has done more for humanity than anybody else. In many ways his search for truth was more sincere, more authentic than anybody else’s. 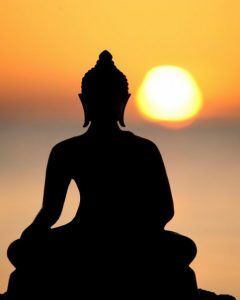 Gautam Buddha has chosen a meditation that can be called the essential meditation. All other meditations are different forms of witnessing, but witnessing is present in every kind of meditation as an essential part; it cannot be avoided. Buddha has deleted everything else and kept only the essential part – to witness. When you have become perfectly watchful of your body, mind and heart, then you cannot do anything more, then you have to wait. When perfection is complete on these three steps, the fourth step happens on its own accord as a reward. Suddenly your life force, your witnessing, enters into the very center of your being. Join us for a 4-day residential Vipassana Silence retreat with Lama Tenzin. In these 4 days, we will practice Vipassana meditation and Osho Meditations. It’s a unique opportunity in San Diego area and not to be missed. We end the group on Monday after lunch and sharing. Out of town friends are advised to arrive by Wednesday night so that you can settle in and start bright and early on Thursday. Group will be in complete silence. No cell phones, No internet, No book reading. Let your family/friends know that you will be out of touch for these 4 days. You must be physically fit to participate and follow the schedule. Do not participate if you have a serious mental disorder or emotional upheaval. Consumption of alcohol, intoxicants, and smoking is not allowed. 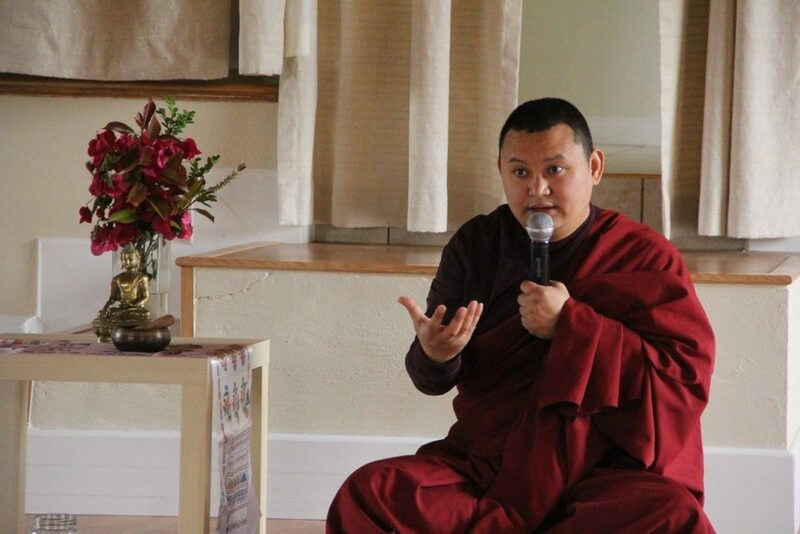 Buddhist monk, Reiki Master, Tenzin Lama Sherpa teaches Usui Reiki and Buddhist meditation and philosophy. When he was only 13 years old, he finished his elementary education only to become a Tibetan Buddhist Monk. Since he was very young, he studied in Tibetan Buddhist monastery Namdroling in the South India. Throughout his monastic life, he has received endless philosophical teachings, transmissions, and initiations from great lamas. Tenzin has studied all the Buddhist Sutras including Theravada and Mahayana Buddhism. He has taught in Nepal, India, Chile, Mexico and the United State. In the monastic life he also gave teachings and he took care of the monks that were sick. When, for the first time, he saw so many people sick in the hospital, he immediately wanted to become a doctor, but it was impossible to be a monk and a doctor at the same time. Once he was sick and his uncle suggested that he should take Reiki healing classes. He started taking classes with a Lama, and in three days he was fully recovered. His uncle requested him to practice Reiki healing. After self healing practice and because his teacher requested him, Tenzin Lama started giving Reiki healing sessions in the healing center. Tenzin Lama used to offer his services and his knowledge in a Reiki healing center, in households, hospitals and other centers dedicated to social services. After finishing his second level of Reiki, he started his healing services at a distance in different parts of the country. After having finished the third level of Reiki, he started to guide new Reiki practitioners. In 2005, Tenzin Lama’s teacher received an invitation from a Chilean doctor to come to the country and Tenzin Lama’s master appointed him to be the assistant to take part in Buddhist centers, in Reiki healing centers, universities, and clinics from different parts of the country. Tenzin Lama also learned and exchanged knowledge with Reiki Masters and psychologists from Chile. Over the last 17 years, Tenzin Lama has given Reiki to more than 11000 people and has taught Reiki to more than 800 students. According to Tenzin Lama, Reiki is a healing method that has no side effects. Any person can learn meditation and Reiki for either self-healing or for healing others. This healing practice promotes physical, emotional, mental, and spiritual growth. Or register at Welcome Center when you arrive. You will be asked to fill out the waiver-of-liability form, picture/video release form and acknowledgment of “Retreat Standards” for liability purpose. Early bird has ended on Oct 15th. Please add 40$ extra for Single and 75$ for couples for Nov 21st arrivals. In order to confirm your space, we are requesting you to make the necessary donation and secure your spot for this much-awaited event. Please send the payment as “Family and friends” in Paypal so that we don’t end up paying fees. We accept credit cards (3% surcharge) and cash at the door. Due to limited parking, we highly encourage you to carpool with other participants if possible. We have three different options for meals. Bring your own food, dine at nearby restaurants and /or share freshly made vegetarian food at the facility. If you would like to share meals with us, please be advised that we will offer breakfast, lunch, and dinner for a suggested donation of $10 per meal or $25 donation for all three meals. Please contact us if you need details. Water, herbal tea, coffee and light snacks’ will be complimentary. Only vegetarian food is allowed on the premises! Please inform us if you have any dietary restrictions and/or needs. We suggest that you bring your own food under such circumstances. – Please feel free to bring any yoga mats or pillows if you have any favorites although some comfortable meditation chairs will be provided. – Meditations involve sitting, dancing and lying down so it is suggested that you wear loose clothes. – Since the event will be full of activities, it is suggested that you take plenty of rest before the event. – In consideration of people with sensitivities, please kindly refrain from using strong perfumes and other similar fragrances during the retreat. – We plan to do each session at the allocated time, so plan to be at the Meditation Hall 5-10 mins earlier than the scheduled time. Please feel free to contact us if you have any questions or concerns about this event. The retreat venue also offers cameo of breath-taking beauty. Catch an early-morning spectacular sunrise from your own balcony, and by lunchtime you can be basking in the sunshine, followed by whole-day of meditations and celebrations and ending the day gazing at the setting sun in elegance. Juicy Valencia orange trees just add to the natural splendor where you can also practice Zen meditations. Our retreat facility offers beauty, privacy, and peace, yet easy access to big cities.